Stage 2 of the Tour of Missouri is headed to my hometown, Cape Girardeau, on September 8. Jim Baughn, webmaster of The Southeast Missourian’s web page, has a must-read blog called Pavement Ends where he covers things off the beaten path. 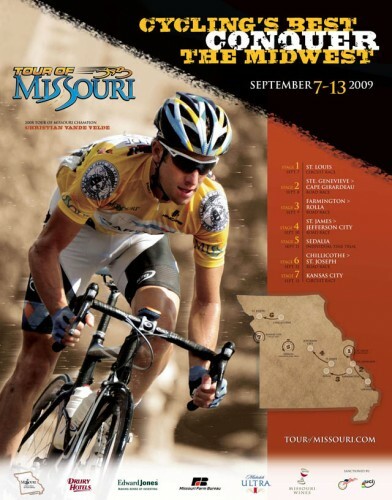 His August 31 Tour of the Tour of Missouri Bike Route blog is a collection of photos and descriptions of things along the route that the riders won’t take time to notice. I love his factoids like A small stretch of Route WW, from Holmes Road south to the terminus with Route T, follows along, or very near, the Three Notch Road. This ancient road, dating from the early 1700s, connected the lead mines at Mine La Motte with the outside world at Ste. Genevieve. It was the first road built in Missouri, although “road” might be a misnomer. Road conditions were so primitive that three lines were notched into trees to reassure travelers that they were still following the road. One of Jim’s other interests is bridges. Because of that, he takes particular note of some bridges along the way, including a link back to the bridge I’d rather forget from my learning-to-drive days. I know these guys are pros who go UP the Alps faster than I’d go down them, but anybody who doesn’t do his homework is going to get caught out when they get to a couple of 90-degree turns hiding short, but steep climbs. The guys in the front 10 will be OK, but there will be a log jam behind them as everybody jockeys to squeeze the peleton through the narrow space. There’s another factor, too. 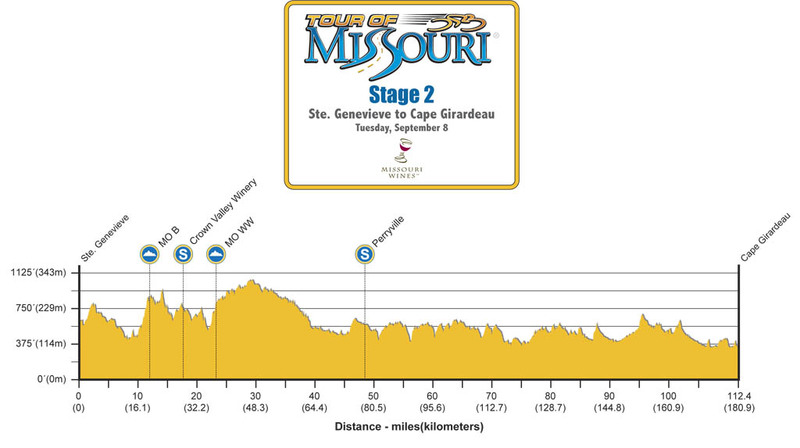 Missouri doesn’t have a lot of really long climbs, but it has lots of ups followed by downs followed by ups. A series of 400-foot climbs followed by 400-foot descents may add up to a total altitude gain of zero feet for the day, but your legs are going to let you know that math doesn’t tell the whole story. 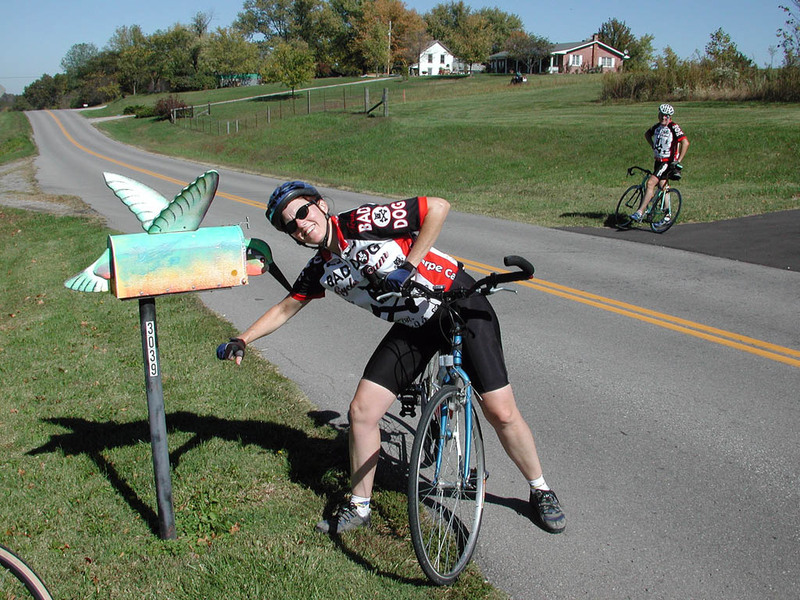 I doubt that they’ll stop for roadside pictures at the hummingbird mailbox in Pocahotas like Bro Mark and Friend Deeds did on our 2003 ride. When they fly by Altenburg, they could look up and see some attics that used old glass photographic negatives for window panes. If there’s a breakaway with a big lead, they can get off their bikes and take a break pacing the exotic animals at a farm along the way. On their way south, they’ll pass a huge gravel bluff near Oriole where my dad set up a gravel plant to get material for building roads when I was about 10. (See picture on Jim’s blog.) I’m surprised that I didn’t break my neck trying to scale that cliff. 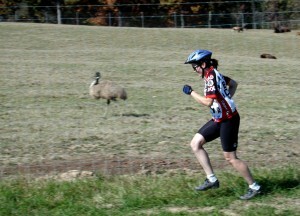 It’s gonna be a good race.